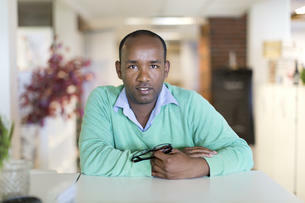 Mesay Sata Shanka is a Ph.D. candidate in Marketing. His research interests include marketing capability, inter-firm networks, and B2B marketing. Shanka, Mesay S., Håvard Ness, and Kåre Sandvik. 2018. "Strategic Orientations, Marketing Capability and Firm Performance: A Meta-analytic Structural Equations Study." 2018 Summer AMA Conference, Boston, MA, August 10-12, 2018. Shanka, Mesay S., and Håvard Ness. 2017. "Relational Exchange Norms in Supplier-Retailer Negotiation." 23rd Nordic Workshop on Interorganisational Research, BI Norwegian Business School – Campus Stavanger, April 26 - 28, 2017.